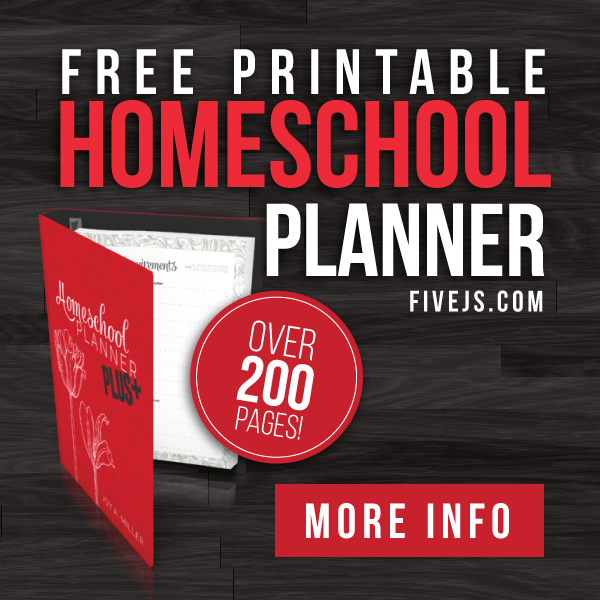 How do I go about choosing a homeschool curriculum that will work for me and my kids? 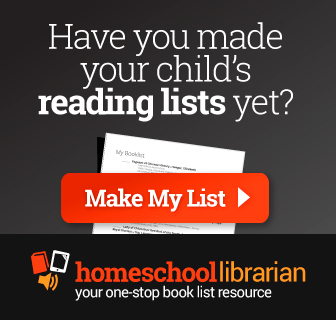 One of the most important decisions a family has to make when they first decide to homeschool is what curriculum to buy; but the plethora of choices available can be overwhelming. Where should I start looking? What will work best for our family? When we started homeschooling in 2005, I read dozens of curriculum reviews online and basically ended up choosing the curricula that had the best reviews. With nothing else to base my decision on, I thought that would be our best bet. But after just a short time of using the various curricula we had chosen, I realized that they were not created equal; some were set up quite differently than others. And I noticed that my children and I were doing better with one particular curriculum style. Now I'm not saying one particular publisher was better than another, but rather a particular curriculum style was better for my children. You see, what I finally realized was that homeschooling curricula can be placed on a spectrum, from those that are most teacher-dependent to those that are entirely self-teaching. What was working best for both the kids and me were those curricula that fell in the middle of that spectrum. So I did what many new homeschoolers do their first year and sold the curricula that I didn't like. Then when I chose a new curriculum I took into account more than just the online curriculum reviews; I took into account how it was set up, specifically the type of teacher involvement required and the amount of preparation necessary for each lesson. When researching curricula this second time, I placed each into one of three categories: Instructor-led, Interactive, and Independent. Then I selected curricula mostly from the Interactive category, and I was much happier with my choices after that. I wasn't spending all my time doing teacher prep; I was spending more time actively learning alongside my kids. They were learning better and I wasn't getting burned out, which of course was a huge bonus. The teacher has a manual from which she reads the lesson prior to teaching it. Sometimes the teacher's manual has a word-for-word script that is read to the student, but other times the teacher has to read and prepare the lesson ahead of time and then present it to the student. The student often has a workbook that correlates with the lesson that was taught, but it doesn't necessarily include all of the information that was learned in the lesson. Abeka and Bob Jones produce grade-level-based curriculum that would fall into this category. Tapestry of Grace, KONOS, and Sonlight are also instructor-led, but they are not entirely grade-level-based (for non-math subjects at least), so they can be used with multiple age levels at once. 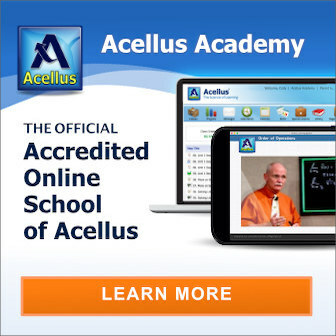 PROS: Can work well for new homeschoolers and/or parents who aren't confident in the subject matter being taught. The parent is learning the material right alongside the child and is better able to help with questions that might come up and to evaluate mastery of the subject. CONS: Often takes a lot of time to prepare, so when teaching multiple ages, this prep requirement might be a burden if using separate instructor-led curricula for each grade level. The term Interactive is my own word choice. I use the term to describe curriculum which has all the information in the student's book but which often requires the teacher to read along with the student, explaining and elucidating the material along the way. There is sometimes a separate teacher's manual, but it may contain only the answer key (and possibly review questions or a lesson outline/summary). I would say Saxon Math (at least 5/4 and up), Singapore Math* (this could be used as an Instructor-led program as well), Rod and Staff English*, and Wordly Wise* (up to book 3 or so) would be some of the curriculum that fall in this category. Read-aloud histories and sciences like Beautiful Feet* and Apologia's elementary-level Exploring Creation* series would also be in the Interactive category. PROS: No teacher prep required (except for gathering materials like manipulatives.) The student is actively involved in the learning process through reading the lesson himself. The parent is learning the material right alongside the child and is better able to help with questions that might come up and to evaluate mastery of the subject. CONS: If the parents are not confident with the material being covered, they may feel they need more help in teaching the material than what is presented in the book. If teaching multiple children of different age levels, having to sit down for the entire lesson with each child may take up a lot of time. With independent curriculum, basically all of the material needed for the lesson is located in the student's book (there are still answer keys, but often not a completely separate teacher's manual). The material is written so that students can read it independently, and they shouldn't need much (if any) extra help from a teacher to understand the material. The Key to…* math series, ACE (School of Tomorrow), Alpha Omega, Robinson Curriculum, and Wordly Wise* (probably book 4 and up) would fall into this category. PROS: No teacher prep required. The student is very actively involved in the learning process through reading the lesson himself. Students can do the work at their own pace. Good choice for families teaching multiple ages. Works especially well for older children who need to prepare for college work and independent learning. CONS: The parent is not covering the material alongside the student, so she may not be able to answer questions about the covered material very well when asked. Students who are not self-motivated learners may "do the work" but not actually remember anything from this kind of curriculum (this is from my own personal experience as a student). 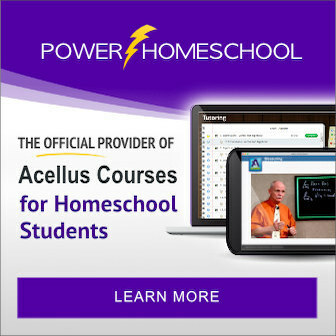 So if you're a newbie homeschooler or a veteran homeschooler struggling with the curriculum you're using, evaluate the style of your homeschooling curriculum. Consider choosing a homeschool curriculum not only based on its quality of content but on its style. Is it Instructor-led, Interactive, or Independent? What style would work best for both you as the teacher and your children as the learners? There isn't one right choice of curriculum for everyone. As in most of homeschooling, you need to find what works for your family. I can't wait to see everyone else's ideas! Hope enjoys "Math Motivation"! Happy Thirsty Thursday to EVERY parent who wants their children to learn. I have been looking forward to this! I can't wait to read what others have to share. Great post on choosing curriculum. I find I am a mix of all three, probably because my three children all have different styles of learning. Curriculm is like a recipe to me, I can never followed it exactly. I am always spicing it up, a little here, a little there. Have you ever evaluated Heart Of Wisdom? We used that for many years. For us it was a great alternative to Tapestry of Grace, which didn't work for us. This year we are leaning heavily towards My Fathers World! Stephanie’s last blog post..How Does Your Garden Grow? : With Some Sun, Very Well! This is a logical way to sort curriculum options. It seems to me that the best choice might change over time, as well; as my son gets older, he's able to do more independent learning. @Melissa. I agree! As my children get older, each of them is able to be more independent. Yet there are still subjects which my oldest still benefits from being interactive with — Latin is one that I can think of. I really enjoyed your post. Boy, how that would have helped me five years ago when I got started. I have made tons of mistakes over the years, but I think I have found what works for us. I don't mind our history and literature being mom-driven, but I need the math and science to be student-driven. I don't have a post to share link-wise but hope to next week. I linked a post I did last month. Next time I'll make sure to link back here. Thank you for sharing this, Joy. I'm going into our 2nd year and I wish I knew as much going in. What an interesting way to sort curriculum. I guess this would be helpful for mom's trying to find out how much work a curriculum would take. This is the first time I've even seen textbooks like Abeka or BobJones put in the same category of curriculum as something like KONOS. As a life-long KONOS user (I started using it when I was in 3rd grade and have just started using it with my own children this last year), I would put KONOS in the interactive category if you are talking about a parent and child interacting with the subject matter. We loved it growing up because we were all active participants. Learning just became a part of everyday life as we became increasingly independent in the highschool years… Of course, being at the beginning stages now with my oldest being in K, it is definely more prep on my end than equal interaction. If you are simply categorizing it by how much work a parent must put into it than it would definitely go up there with the BobJones/Abeka type. Thanks for the interesting take on how you like to divide up curriculums. .-= Heather´s last blog ..Edible Learning =-. @Heather, Yes, I was definitely categorizing the curriculum by how much prep a parent has to put into the curriculum. I totally agree that KONOS is in a whole different category than Abeka and BJU when it comes to method, but from a teacher's perspective, they both require preplanning. I've never used KONOS myself, but I have several friends who do and who love it. For my style (which is NOT kinesthetic) it just didn't seem like a good fit. I'm sure my kids would have enjoyed it, but it didn't seem like the best choice for us at the time.